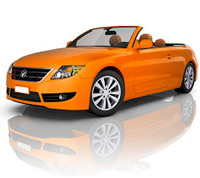 (1/21/2013) When selecting and financing a car, one of the biggest decisions to make is this: new or used. Choosing between the two is a matter of what’s most important and relevant to buyers. The final decision will affect how much a consumer spends at purchase, and over the life of the car and the auto loan. • Ability to customize. With a new car, purchasers can truly make it their own by selecting color, features, and special components. • No history. The biggest potential problem with used cars is the fact that they have been used. And often, new purchasers may not know how it’s been driven, how well it’s been cared for, and even any major repairs or citations. New cars will probably require less maintenance, and will not be due for major repairs for several years. • Coverage. New cars are covered under manufacturer warranty for at least three years, under which any repairs that are necessary are covered. Warranties may also cover roadside assistance. In addition, new cars are covered by state “lemon laws,” meaning if you can prove your car has substantial issues, you could receive a replacement vehicle or your money back. • More choices. When buying used, you can get a lot more car for less money. That means that you have a wider variety of options within a specified budget. While new cars often come a premium cost for few features, used vehicles can offer much more for reduced cost. • Increasing coverage options. Depending on where you purchase your used car, you may find you can transfer the original factory warranty. Plus, the burgeoning trend of “pre-owned” dealerships and programs, even for luxury cars, means that the purchasers have more options to ensure they get a good and safe deal. • Less depreciation. New cars begin to immediately depreciate in value upon purchase, losing a most of their value within the first few years. Used cars have weathered that hump, and will retain their value more. Calculator: Should I Get a New or Used Car?